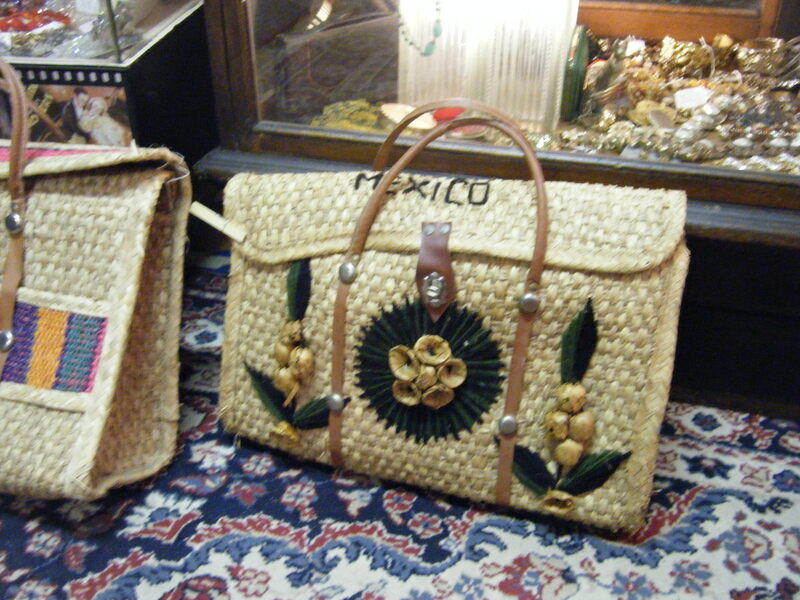 Run, don’t walk, to Winston-Salem, NC to experience the gorgeous vintage clothing and treasures at Putting on the Ritz. The store owner Hans Hauser has a lifelong passion for vintage clothing and accessories and it shows in every square inch of the house he has converted into a vintage clothing store. 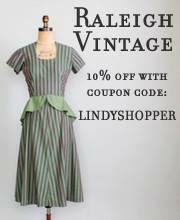 Through his vintage consignment sources, friendships with vintage collectors, and his own efforts to retrieve specific pieces from faraway locations, Hans has collected one of the best, if not the best, vintage clothing and accessories collection for sale in the state. I met Hans about 5 years ago when my friend Sharon Ferris directed me to this treasure trove. I purchased a 1940’s bathing suit that I wore to VBLX that year for the battleship dance. Even though I had not seen him in 5 years, he knew immediately who I was today and pulled out the picture I sent him of me in the bathing suit from behind the countertop. My friend Laura Boyes and I ended up exploring the shop and chatting with Hans for about 3 1/2 hours – excellent company and excellent vintage! 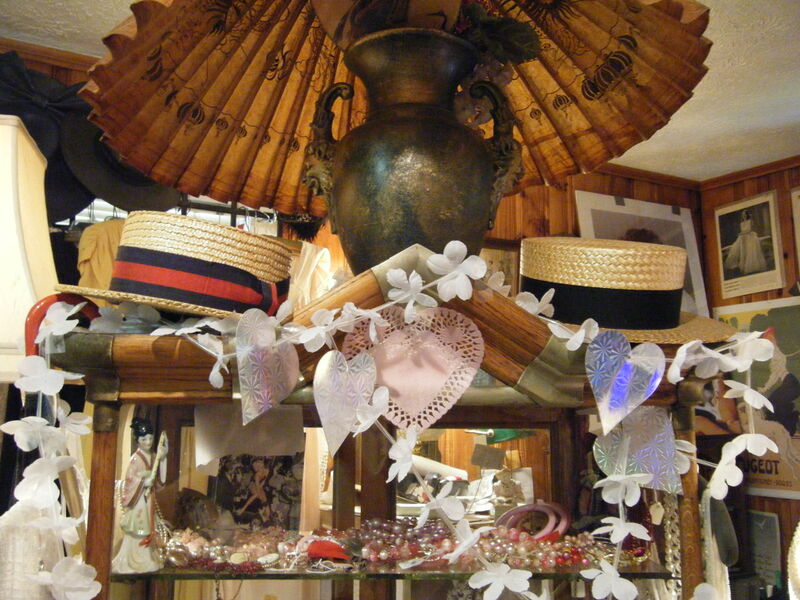 The shop is jam packed full of a mix of vintage, designer consignment, and glitzy clothing. The list of notables is long: straw boaters, men’s 50’s hats, Yves Saint Laurent black satin pumps, a white fur capelet, 50’s prom and day dresses (some with matching jackets), 30’s and 40’s gowns worthy of an MGM movie, flowered 40’s day dresses, a velvet trimmed 40’s suit, wide brim ladies hats, art deco costume jewelry, wedding dresses from the Victorian era through the 50’s, delicious 40’s platforms, bias cut lingerie, and a burnout velvet 20’s dress that came home with me. If you are interested in any of the clothing items I have posted or would like to know more, please contact Hans Hauser at (336) 659-9944. He is happy to work out arrangements over the phone and he also does layaway. The shop is open Tuesday through Friday, noon to 6:00 p.m. and on Saturday from 1:00 p.m. to 5:00 p.m.
P.S. 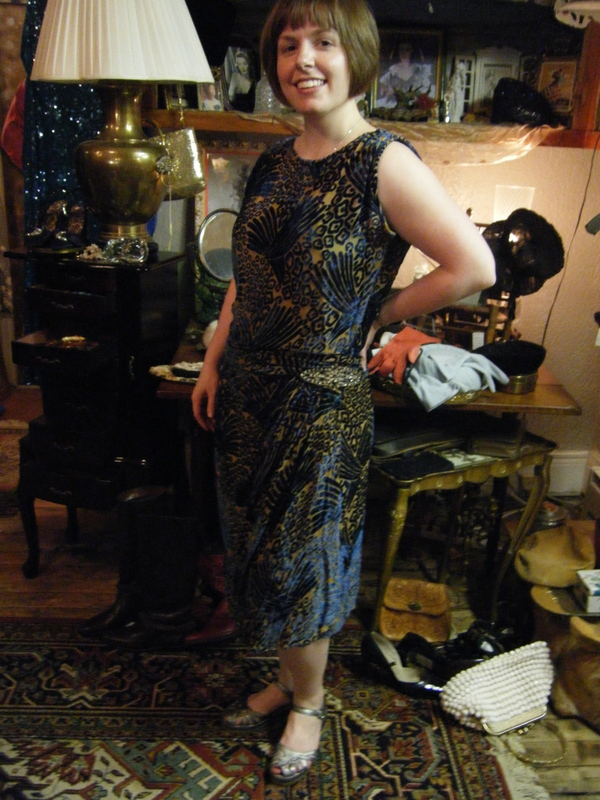 Pardon my unmade face – I think it’s easier on the clothes if I don’t wear makeup when I try on vintage clothing. 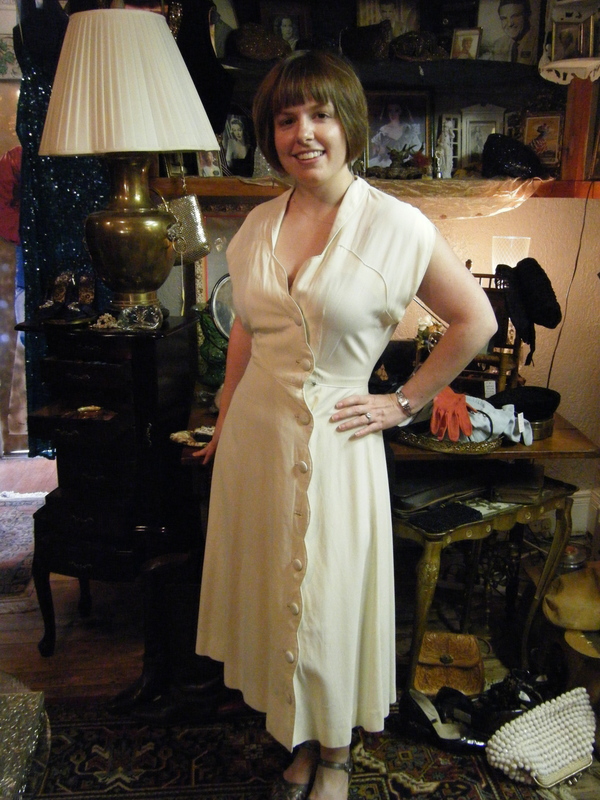 White 40's crepe dress, buttons up the front with scalloped edge around the buttons. 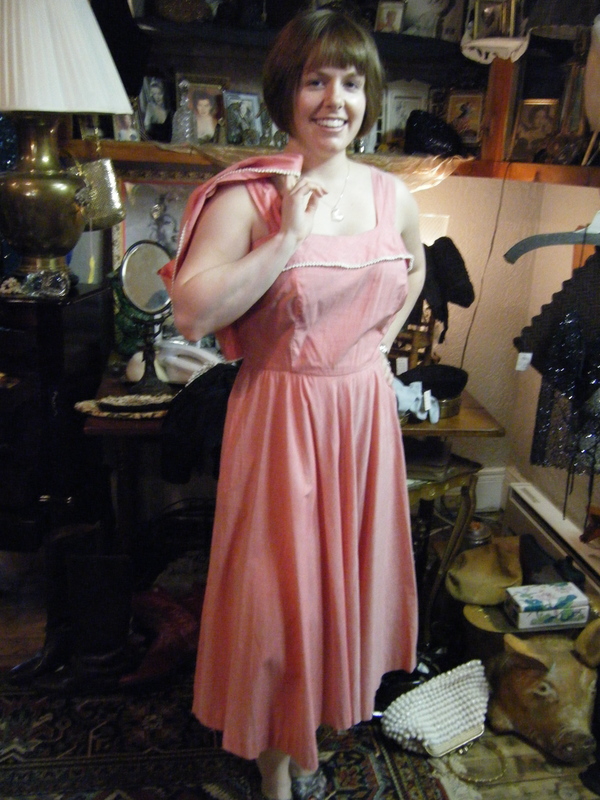 Pink 50's cotton sundress with matching bolero jacket. 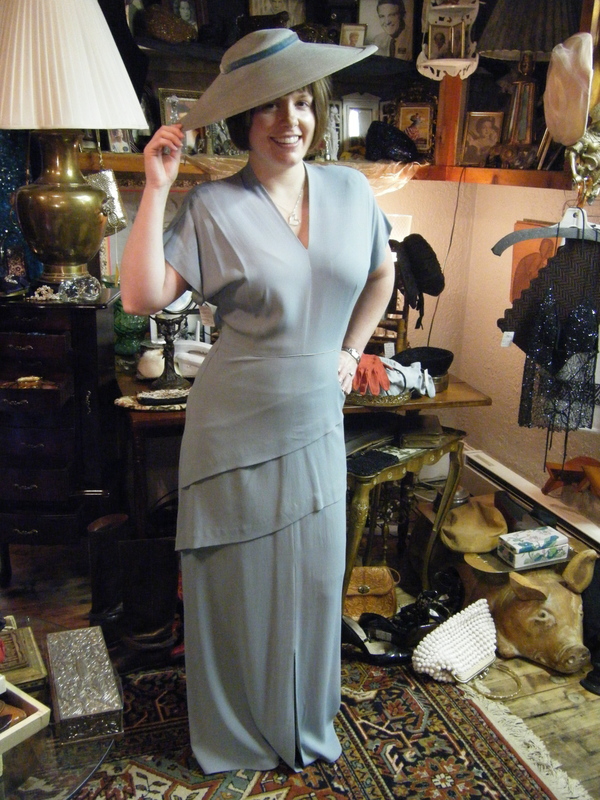 Light blue 40's crepe gown shown with wide brim blue straw hat with a velvet ribbon. Union Jack crepe evening gown that did not actually fit me, so I am holding the zipper on the side. 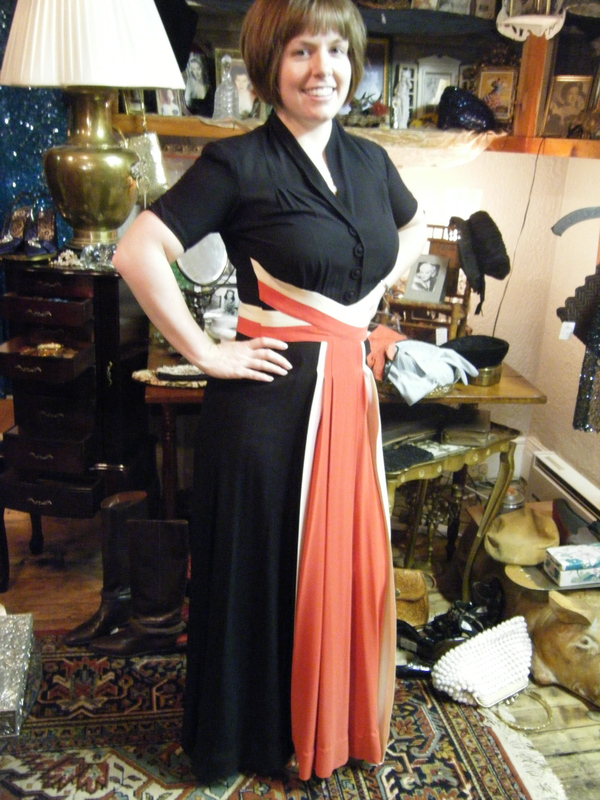 This dress is stunning in person and will look much better on someone else. 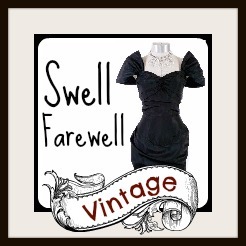 This 20's burnout velvet dress is mine! Navy blue 40's (?) 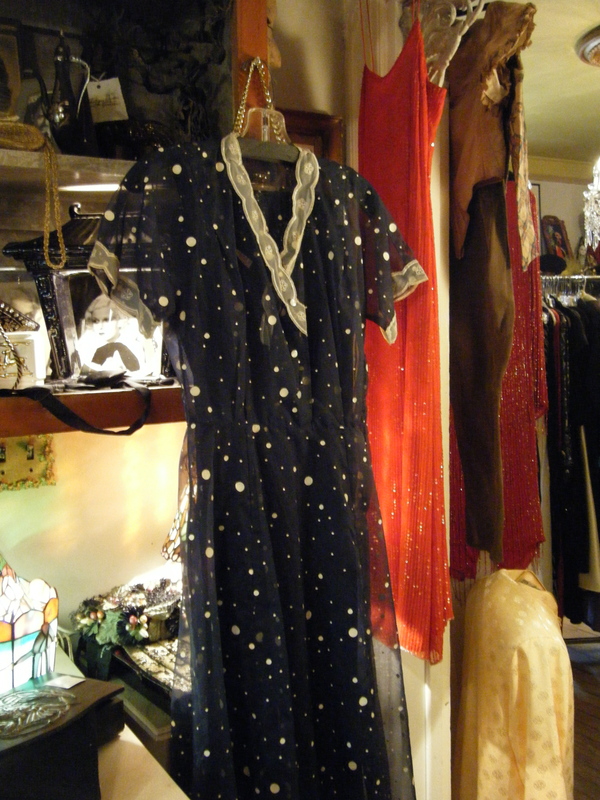 sheer dress with painted on polka dots and matching under-slip. 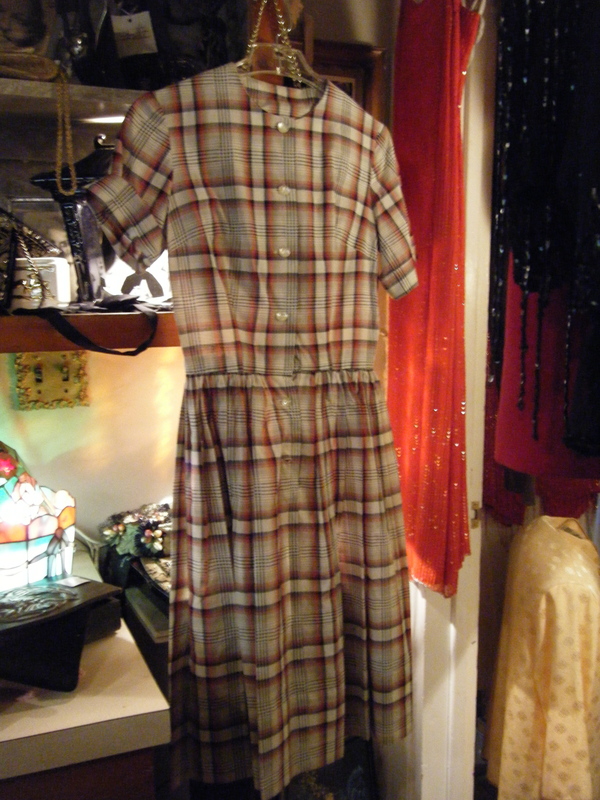 50's plaid day dress with really cool polka dot detailing where the plaids cross. 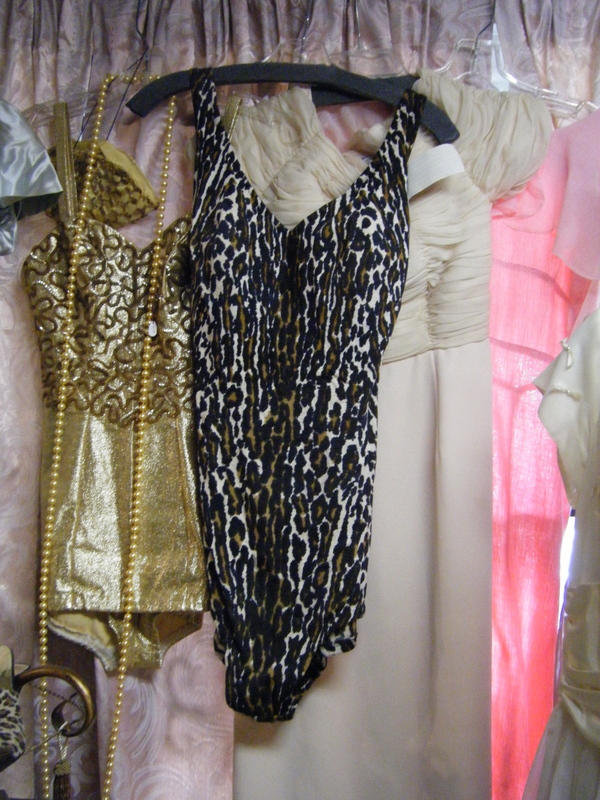 Leopard print bathing suit - rawrrrr! 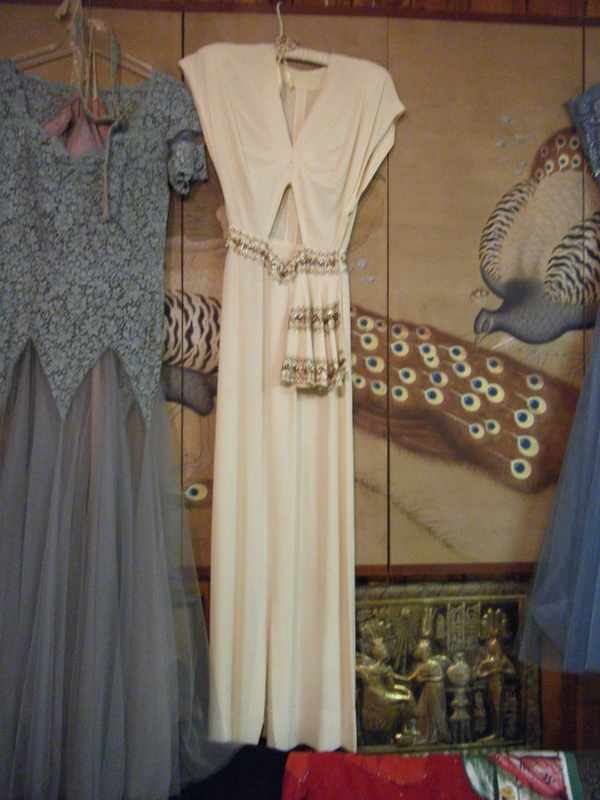 MGM starlet white evening gown with gold trim and cutout triangle in the front. Made for someone tiny. Brown 40's suede platforms, small size. 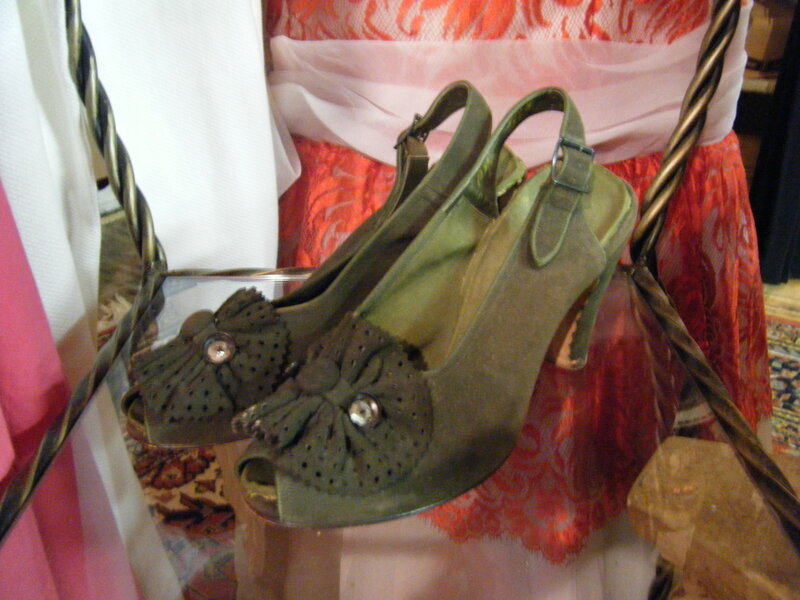 Green suede 40's platforms with perforated suede and button detail, small size. 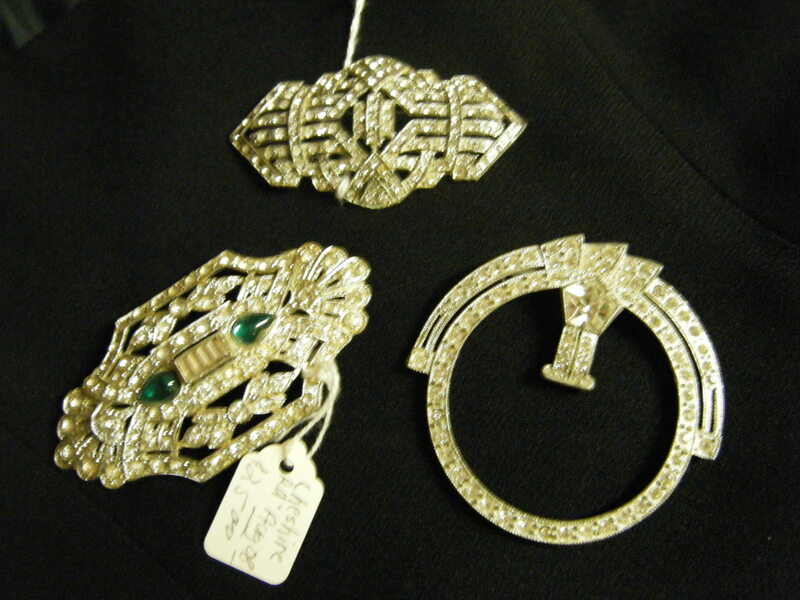 More gorgeous art deco brooches. 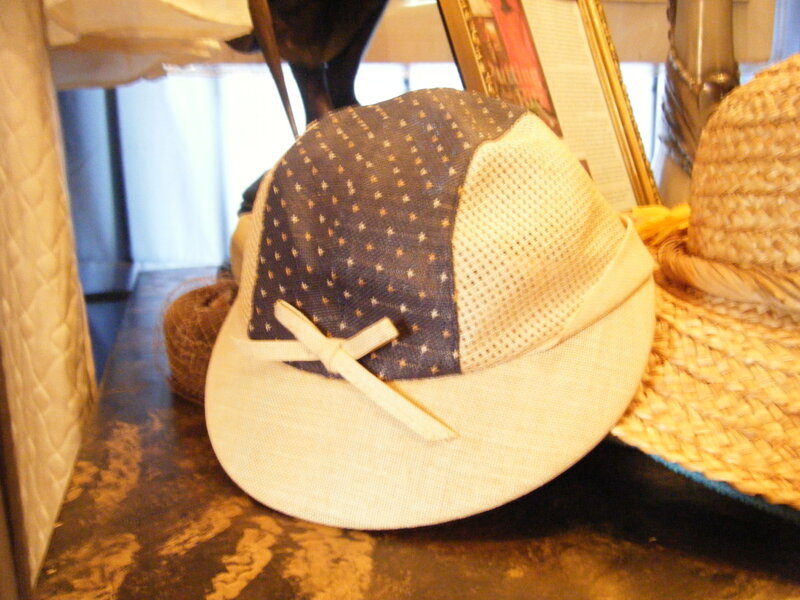 Boater hats - gents, sorry there wasn't more for you in the store. The boater on the left with the blue and red ribbon was sized 7 1/8. No size was found in the boater with black ribbon, but I tried on both and the boater with the black ribbon was slightly larger, so I'd say it was about a 7 1/4. Michael Q., here's looking at you to check a boater in one of these sizes off your shopping challenge! 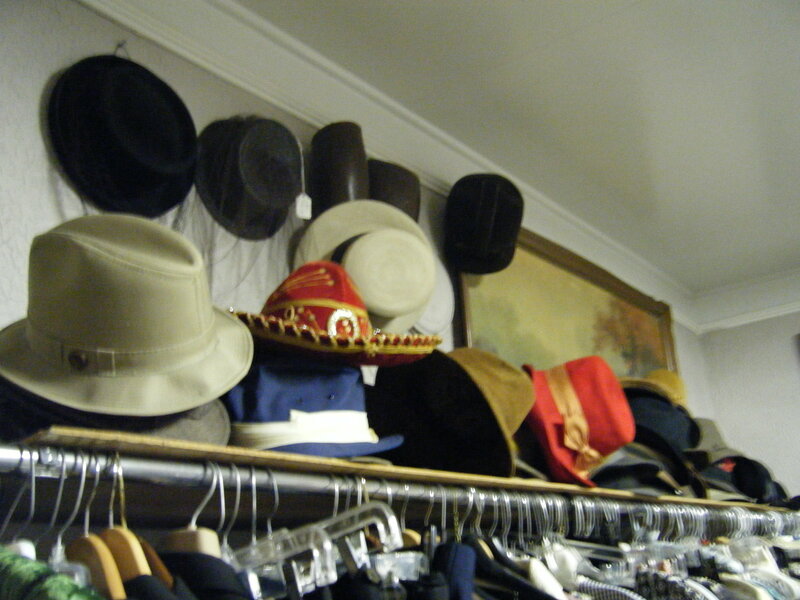 View of some of the men's hats. View of one of the main rooms in the store. Adorable sportswear hat of unknown decade. SO CUTE! 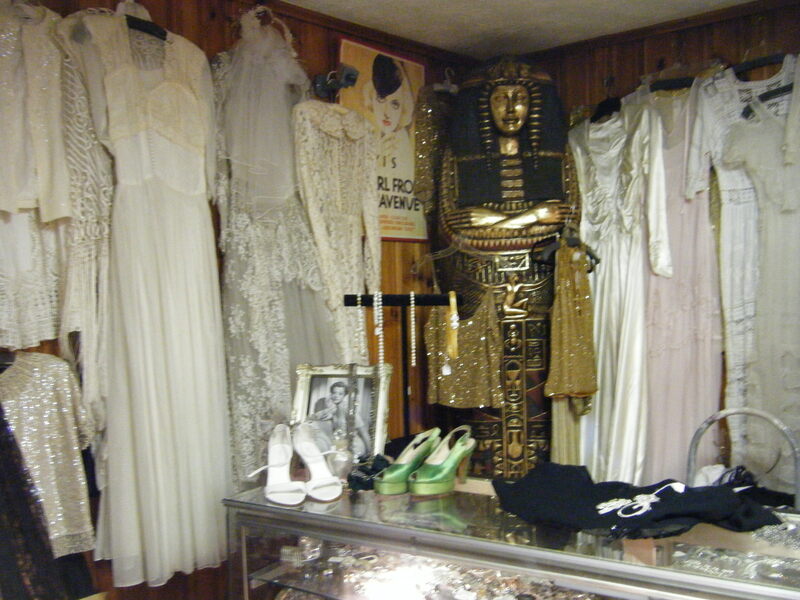 A view of what I am calling the wedding dress corner.